The Futures of Development Assistance is one of the Sub-themes at the UKFIET Conference in Oxford, organised by Kenneth King, Simon McGrath and Robert Palmer. Where are we at setting the education and training agenda post-2015? What are the reactions from the “South” (both Asia and Africa) to this new landscape of development assistance? What does the post-2015 agenda look like in so-called fragile states? What about the shape of post-2015 technical and vocational skills? What are the politics of the international process for shaping the goals for education and training? How are the non-state actors shaping the landscape of development assistance to education and skills? What about the role of the “traditional” donors and their views of education and training post-2015? 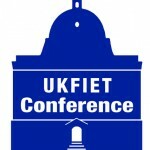 The 2013 UKFIET Oxford Conference will take place just two years before the 2015 target end-date for the Education for All (EFA) Goals, and the Millennium Development Goals (MDGs). The shape of any new post-2015 development agendas will be very clear by the time of the Conference, and will be confirmed in the General Assembly two weeks after the Conference; these agendas are certain to have a direct impact on aid priorities and aid modalities. Critical attention must be given, therefore, to the competitive international landscape in which any new education and skills goals may emerge, including new learning goals, revised EFA and MDGs goals, as well goals emphasising educational quality and achievement, and goals that link education targets to skills, youth employment and economic growth. It is important to acknowledge the cross-sectoral impact of any education and skills goals on all other goals. New ways of working and new aid modalities will be affected by such new goals and targets post-2015. But aid may continue to reflect the emphasis on results, impact and value for money (VFM) that has been evident with many traditional donors in recent years. There may be particular challenges for donors that have chosen to emphasise priority for conflict and post-conflict countries. In this dynamic and changing context, much attention will be paid to the ‘newly active’ or ‘emerging donors’, including Brazil, China, India, Russia and South Africa. But there are many others from Turkey to Chile, South Korea to the Gulf States, as well as the new accession countries to the EU, that have become significant players in development aid. The claims of many of these new development partners emphasise: a rejection of traditional donor-recipient relations; expertise based on recent successful development; empathy from shared identity with the South; mutual benefit and reciprocity; and solidarity with other developing countries through South-South Cooperation. How does the discourse compare with the reality on the ground? Beyond official development assistance (ODA), through traditional donors in the Development Assistance Committee (DAC) of the OECD, and the emerging development partners, there is a powerful constituency of private foundations as well as development assistance associated with the private business sector. Innovative financing for education is also now on the agenda (e.g. a global fund for education, international education bonds etc). There are therefore multiple stakeholders potentially interested in providing support to education and skills development in the global South. We welcome you to attend these sessions and to engage in these debates, both at the conference, and here on the UKFIET CoP. Please leave your comments below.